Premiere Networks has picked up syndication rights to Alpha Broadcasting Talk KXL-AM/Portland’s “Ground Zero With Clyde Lewis.” The show, focusing on the paranormal, conspiracy theories, UFOs, and other phenomena, will be nationally available weeknights 10p-1a (ET)/7-10p (PT) beginning August 27th. 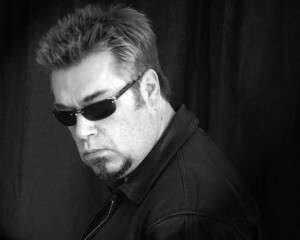 Clyde Lewis is a powerful voice in the field of paranormal news and commentary. With a diverse background in news, acting, writing and radio, he entertains and captivates audiences across multiple platforms. Lewis’ career in radio began in Utah in 1982 and he created Ground Zero in 1995 in Salt Lake City. Lewis has produced Ground Zero programs online, on radio and on television. The program (which takes its name from the scientific definition of the term) joined FM News 101 KXL in 2011 and consistently ranks #1 in the market. Premiere Networks, Inc., a subsidiary of Clear Channel Media and Entertainment, syndicates 90 radio programs and services to more than 5,000 radio affiliations and reaches over 190 million listeners weekly. Premiere is the number one audio content provider in the country and features personalities such as: Rush Limbaugh, Jim Rome, Ryan Seacrest, Glenn Beck, George Noory, Sean Hannity, Randi Rhodes, Nikki Sixx, and others.